Tuesday September 11, 2018 | Hyatt's Manion Lake Camp Ltd. This is McQuire. 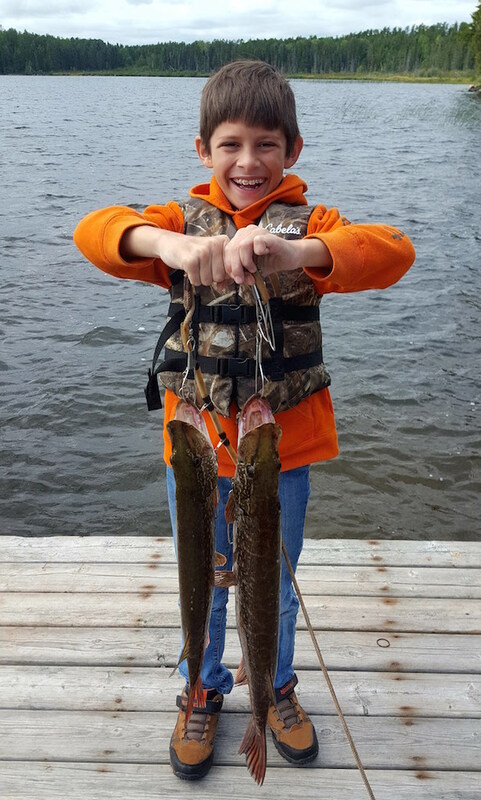 He's been fishing with this grandfather while his dad bear hunts. McQuire has been more successful than his dad! The bear hunters have been having to deal with wind and rain and bears being more hungry at night or early morning. We have a warm day ahead of us today. Today's forecast -A mix of sun and cloud. 40 percent chance of showers this afternoon with risk of a thunderstorm. Fog patches dissipating this morning. Wind becoming south 30 km/h gusting to 50 near noon. High 26. Humidex 31. UV index 6 or high. Tonight	Mainly cloudy with 60 percent chance of showers and risk of a thunderstorm. Wind south 20 km/h gusting to 40 becoming light after midnight. Low 14.